When getting ready to bring home a puppy, your main goal is to create a welcoming and safe environment for them. That’s where a new puppy checklist can come in handy! You can’t crate train your pup unless you have a crate to train them with—makes sense, right? When shopping for a crate, you need to make sure that you buy one that is conducive to your puppy’s size. 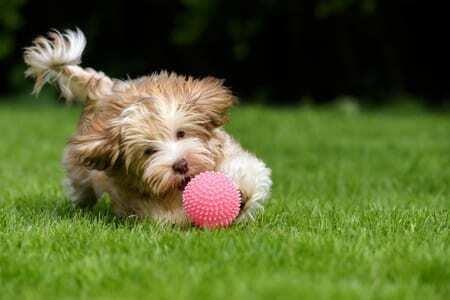 With Havanese being such small dogs, you won’t need to think too much about their growth, but for house training purposes, you will want to keep their initial space pretty small. A smaller-sized crate will help keep your pup from having an accident and also give them a sense of security. As they mature, you can give them more and more room in their adjustable crate until they might not need a crate any longer. You’ll want to have these items at the ready as soon as you bring your puppy home so that they can immediately become acquainted with them. These will be somewhat foreign objects to your pup so give them enough time to sniff out the situation until they feel comfortable enough for you to test them out. And they can’t leave the house without their identification tags—it’s better to be safe than sorry. There are plenty of brands out there when it comes to puppy food, but we suggest working with your Havanese breeder to decide which kind you should buy. Not only do you want to ensure that your puppy will eat it, but you also want to make sure it’s made with the right ingredients and that’s where your breeder can help steer you in the right direction. You need to have some dishes for the puppy’s food and water—one’s that will be able to stand a little wear and tear. You’ll want to have loads of treats at the ready especially when your puppy is just getting started with training. And just think: it’ll be great when you’re running out of treats because that means your puppy is following commands and learning from their training! When dog’s nails get too long, they tend to get caught on furniture, scratch up your floors, and often cause pain to your pup as well. A trimmer is essential, helping you to keep their nails shorter and safer for both you and your pup. Your trimming schedule will depend on the dog and many other factors like how much their exercising and where that exercising is taking place. Since you’ll be going through the many stages of house training, be sure to grab some house-training pads for the potential accidents that may occur. It takes time and patience for a puppy to learn, especially in a brand-new environment, so these pads will certainly come in handy and serve as a much-needed back-up. Snag a toothbrush and get in the habit of doing some routine dental hygiene with your puppy. Trust us—puppy breath is real and you’ll want to take care of it before those extra close snuggles! Every young (and old) pup needs toys! Be sure to have some chew toys ready to play with on their first day home, as well as some toys they can cuddle with when in their kennel. We know it won’t be hard to overbuy toys, but we suggest having more than five around so that you can establish a good rotation—even though we all know he’ll find himself a favorite. You’re going to want to have a bristle brush or sturdy comb handy to help with your puppy’s shedding and overall coat quality. And for those messy puppy moments when they accidentally get into too much mud while exploring, we suggest having some gentle puppy shampoo at the ready as well. The last thing you’ll need to bring home is your Havanese puppy—and we can help! At Family Puppies, we have years of experience breeding, raising and finding the most perfect homes for our pups. 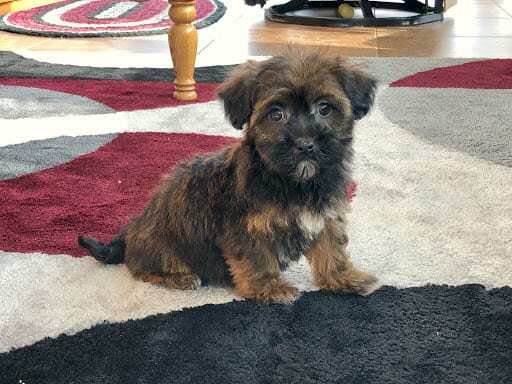 Take a look at our available Havanese puppies for sale and give us a call at 574-354-2428 to learn more!